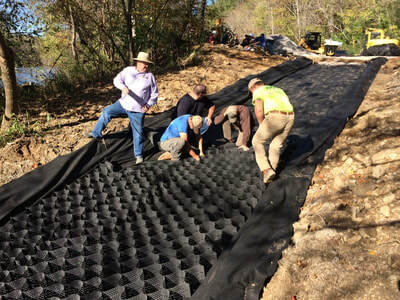 Living River Williams canoe access improvements completed Fall 2017. 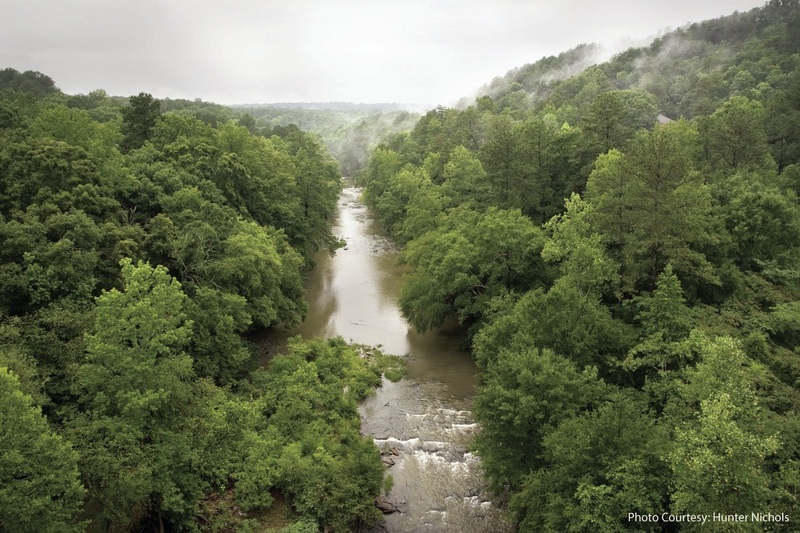 The Cahaba is one of the most biologically diverse and beautiful rivers in North America, and it has tremendous potential to become a broadly valued local recreational asset and a nationally recognized ecotourism destination. The Cahaba Blueway initiative of The University of Alabama Center for Economic Development (UACED) is designed to remove the informational and physical barriers that currently prevent people from experiencing the Cahaba, and create a program that will draw people to the river from near and far. Creating the Cahaba Blueway will not only improve quality of life in nearby communities by enhancing access to green space, but it will provide expanded opportunities for hospitality and retail business, as we have seen in towns along similar "water trails" that already exist. Sustainably developing the Cahaba for recreational access will increase the river's value as an economic asset, and we believe this effect, combined with an increasing number of people who come to know and appreciate the river, will also lead to better conservation outcomes for this outstanding natural resource. Working with multiple public and private partner organizations and with input from the public, we have developed a brand for the Cahaba Blueway and guidelines for standardized signage that communities can use when developing their own access points along the river. The brand will be recognizable and marketable. The signs will provide important and easy-to-understand location and safety information that will enable visitors to have an enjoyable experience. We have also developed guidelines for developing river access infrastructure that communities can use to design and construct access points that are safe, environmentally sustainable, and durable. 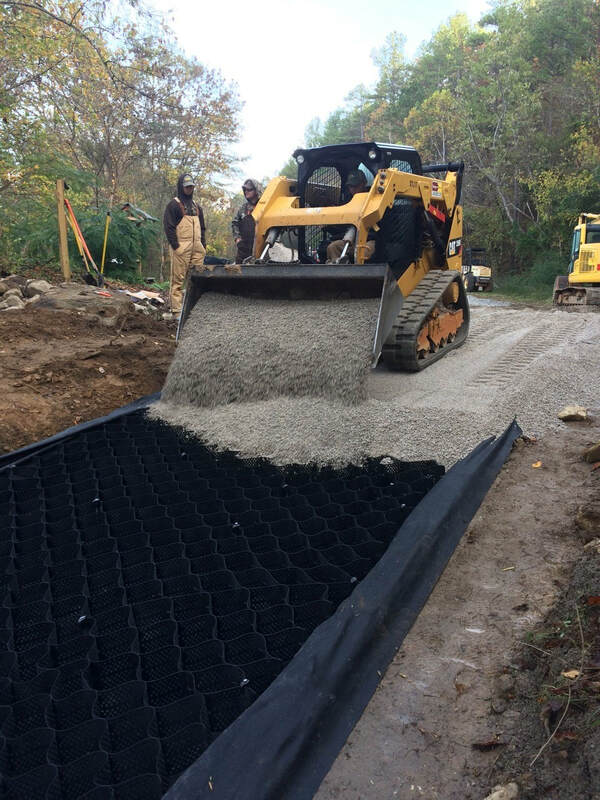 A pilot project that we have completed at the Grants Mill Access in Irondale demonstrates the successful application of these practices. 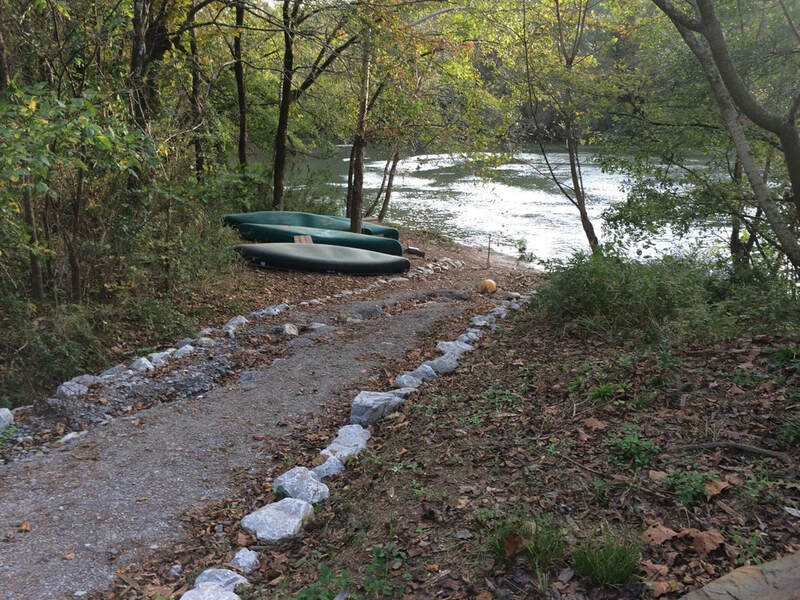 In the late summer of 2017, Tombigbee RC & D generously awarded a grant to Living River to make improvements to the Williams Access on the campus of the camp. UACED staff coordinated the panning and implementation of the project, which is designed to keep this gravel ramp stable and safe. 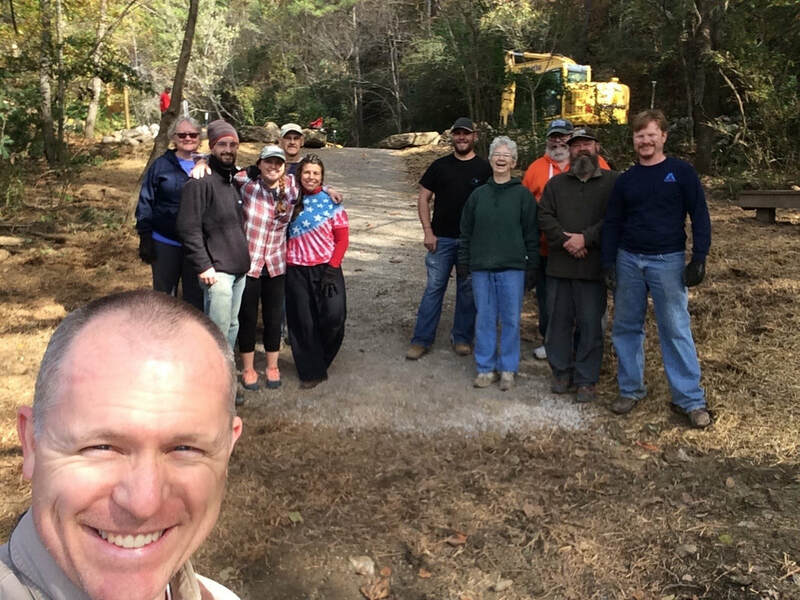 Cahaba Blueway partners, volunteers, and Living River staff installed the canoe launch improvements in November, and they have performed beautifully. This access will be open to the public by appointment. Cahaba Medical Care, working in partnership with the City of Centreville and UACED, has secured a Recreation Trails Program grant from ADECA to install a safe, sustainable, and durable paddling access on the Cahaba River that will restore direct connection between downtown Centreville and the river that has been lacking for almost 20 years. UACED staff have coordinated development of the preliminary concept, which is an innovative design for a galvanized steel structure that incorporates an elevated set of steps and canoe/kayak slide. Installation of this structure should take place in the fall of 2018. ​On March 1, 2016, UACED joined The Nature Conservancy of Alabama, Cahaba River Society, Freshwater Land Trust, the Community Foundation of Greater Birmingham, the City of Irondale, and other partners for a ribbon cutting event celebrating the new Cahaba River access improvements at Grants Mill. 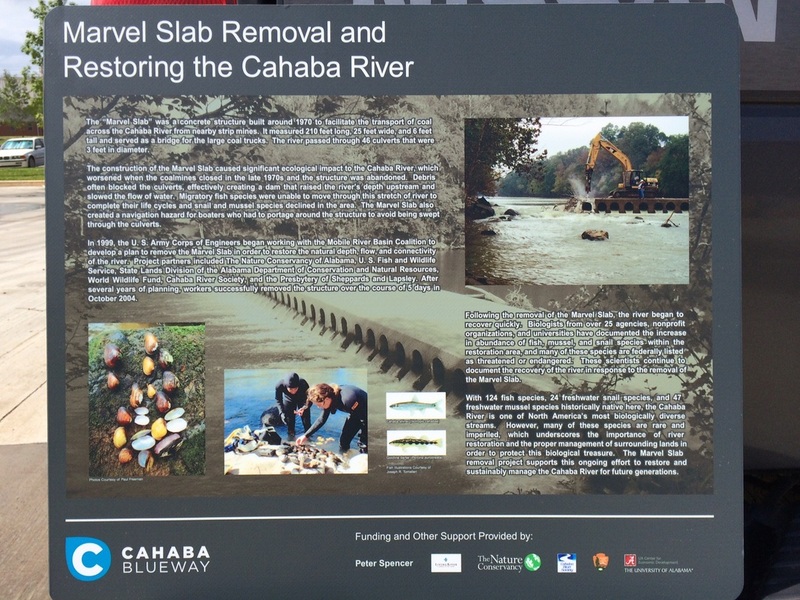 As a demonstration project for Cahaba Blueway site development best practices, these improvements provide a safe, durable, and environmentally sustainable access for canoeing and other recreational activities on the river. 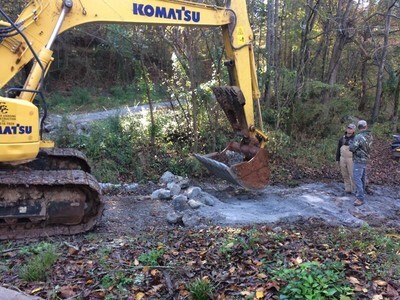 UACED is working with multiple partners in communities all along the Cahaba to create similar access points and to designate the first official Cahaba Blueway sites over the next year. 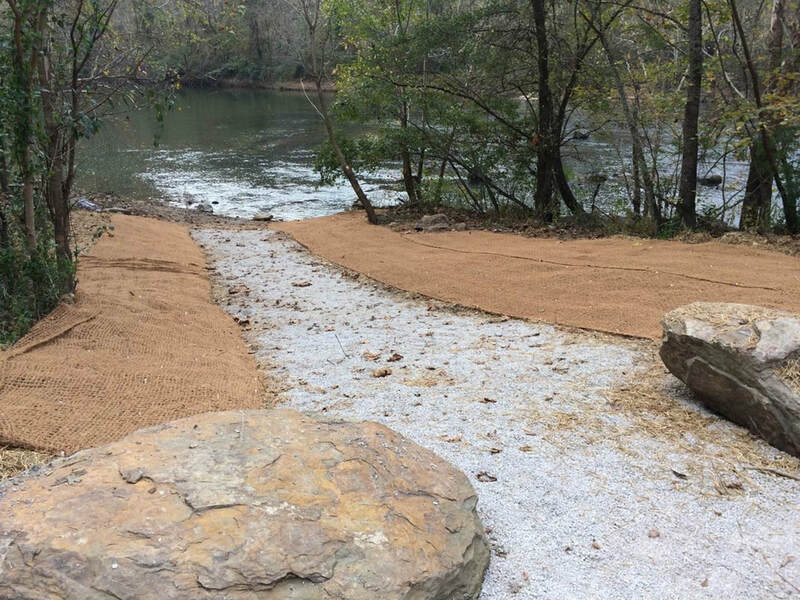 The improvements at Grants Mill are part of the early development of the Cahaba Blueway program, which has been generously supported through funding provided by The Community Foundation of Greater Birmingham. 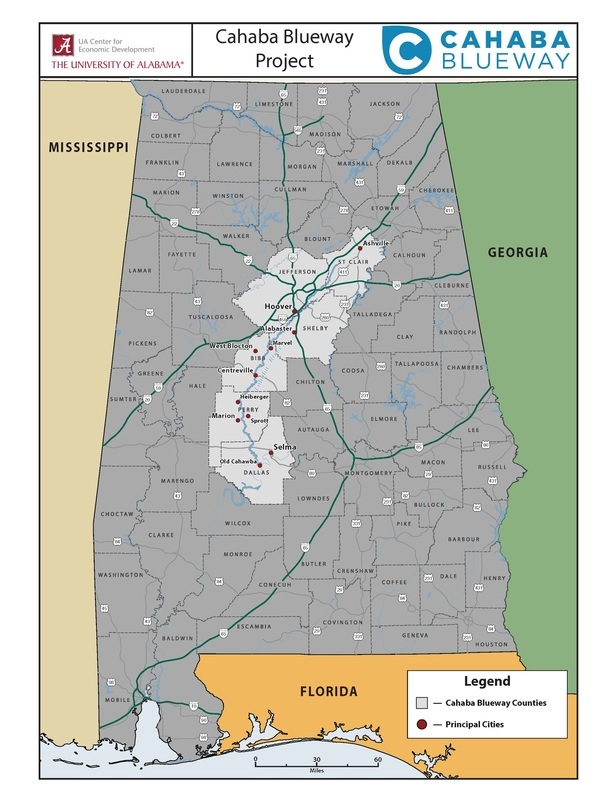 As UACED has developed these programmatic resources, we have been conducting outreach in communities up and down the river to educate local leadership about the initiative and to establish steering committees that will inform the implementation of the Cahaba Blueway system in each city and county. 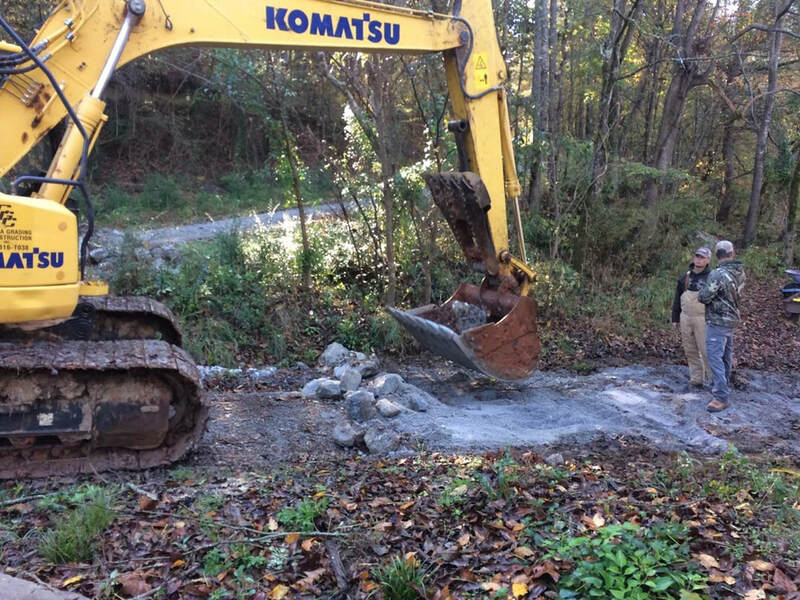 Through this process, we have identified a total of 30 prospective Cahaba Blueway access sites from Trussville to Old Cahawba, and all of these lie within lands that are currently publicly accessible. 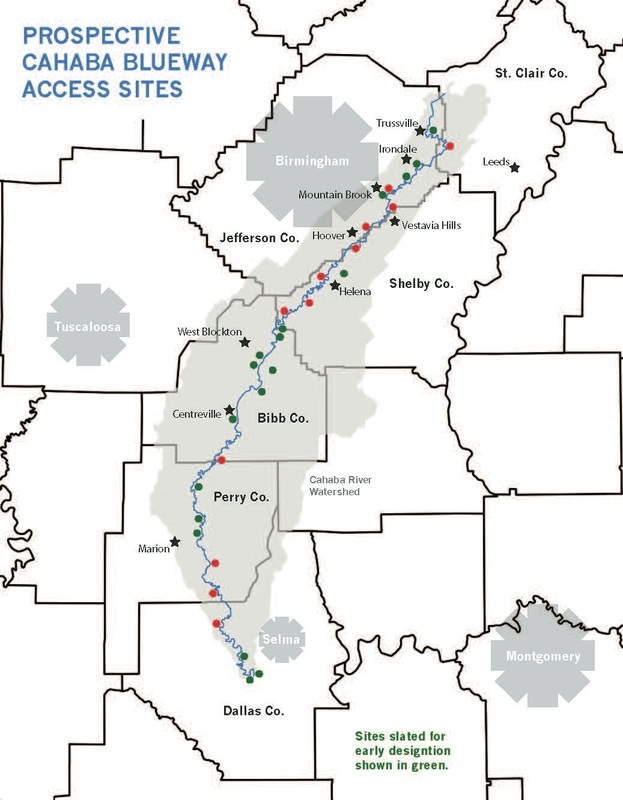 Eighteen of these sites have sufficient infrastructure (or will in the near future) to be designated as a Cahaba Blueway access point in an initial phase of implementation. 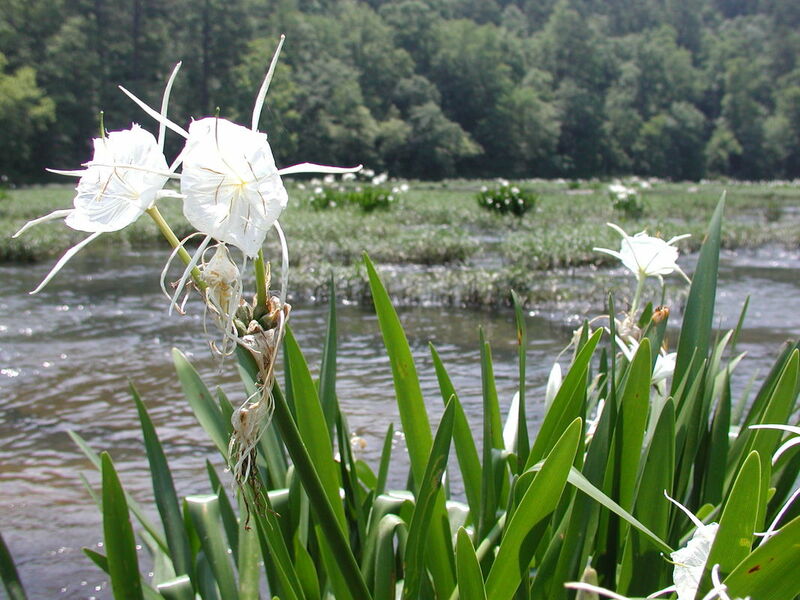 Through our work with local governments and nonprofit organizations along the river, we have raised sufficient funds to unveil the Cahaba Blueway in the spring of 2018 and to install way-finding signs at designated sited in each county. We will announce local events associated with the program rollout.